Listen up, Game of Thrones fans! While there’s certainly no shortage of ways to channel Khaleesi (AKA Daenerys Stormborn, House Targaryen, First of Her Name, the Unburnt, Queen of the Andals and the First Men, Breaker of Chains and, of course, Mother of Dragons) either by co-opting her iconic braided hairstyles or her breezy blue dresses and warrior-like accessories, we still feel like we’re being deprived of one of her most iconic qualities: Her relationship with her dragons. While we can’t exactly hatch open three fossilized dragon eggs and get our very own Rhaegal, Drogon and Viserion, we can do the next best thing — use them as inspiration for our beauty routine. 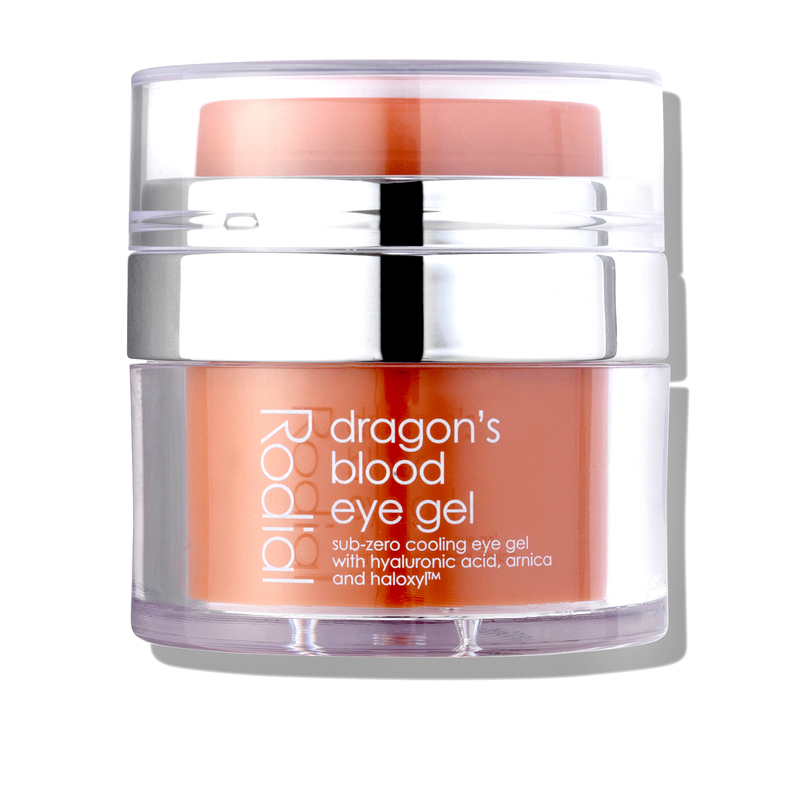 See it: Pick up the Rodial Dragon’s Blood Eye Gel for just $66 at Dermstore! Bonus: Every purchase over $75 gets a free Verso Foaming Cleanser ($12 value)! Also available on Amazon for $56. Please note, prices are accurate at the date of publication, April 12, 2019 but are subject to change. The Rodial Dragon’s Blood Eye Gel is so good, we suspect Daenerys uses it herself to remedy sleepless nights spent plotting her takeover of Westeros. 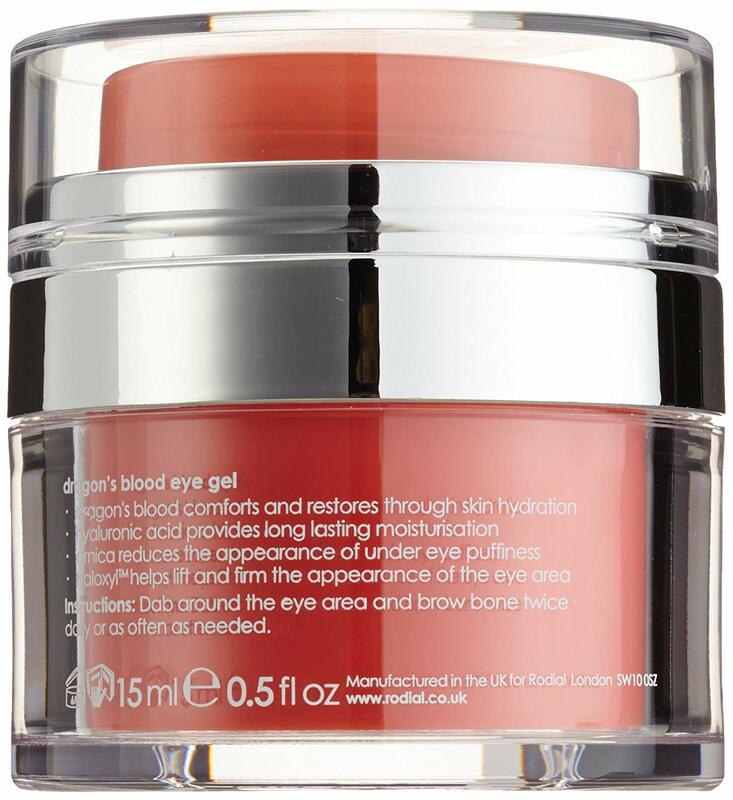 The eye gel is designed to hydrate the delicate skin around the eye area. In addition to making the area feel revived, the gel also helps reduce the appearance of dark under-eye circles. Very important, considering the amount of hours we spent binging the first seven seasons. The gel also helps eliminate the appearance of wrinkles and crow’s feet, plus promote smoother and plumper skin around the eye for an overall more youthful appearance. While the Rodial gel doesn’t use actual dragon’s blood (we doubt Dany would take too kindly to one of her dragons being hurt) it does use the next best thing — Rosa Damascena Flower Water, which, if we’re being totally honest, sounds just as exotic as blood extracted from a mythical beast. The rose water helps boost circulation and reduces the appearance of broken capillaries. The gel also employs the use of Arnica montana extract, which helps restore suppleness to the eye area, create firmer and smoother skin around the area and helps reduce puffiness. The actual dragon’s blood comes from the Croton Lechleri Tree, which is native to northwestern South America. The name “dragon’s blood” comes from the Peruvian and Ecuadorian Spanish name for the tree — “sangre de grado” or “sangre de drago,” both of which translate to dragon’s blood. The ingredient helps ensure protection against environmental aggressors that can wreak havoc on our skin. Not sure how to use the eye gel? We got you! Just gently dab around the eyes. Remember not to pull so as not to hurt the sensitive skin around there. For extra credit points, go all the way up to the brow bone. Use the gel twice a day or as often as needed. Sometimes the eyes need an extra pick-me-up, after all. Want to check out more products from the Dragon’s Blood line? There’s also a moisturizer (which also has SP15, not like the future Queen of Westeros will need it in Winterfell) a hyaluronic mask, a sculpting gel to plump up the skin and eye masks to hydrate and tone. There’s plenty to get your Mother of Dragons on! As an added bonus, Dermstore is offering a free Foaming Cleanser from Verso (a $12 value) with purchase! While the eye gel won’t qualify for the purchase alone (must have at least $75 worth of goodies added to cart for that) it’s the perfect excuse to stock up! May we suggest an extra Dragon’s Blood Eye Gel, perhaps? Not your style? Check out other Rodial products and other eye gels at Dermstore!